All our dogs receive as much basic care as possible according to their age. This may include a bath, deworming, CPV/DHPP, Bordatella, Rabies, Heartworm test, Heartworm treatment (Heartgard/Interceptor), Frontline/Revolution, Spay/Neuter, and Microchipping. Dog and Puppy adoption fees range from $75 to $250. Monday through Friday by appointment only. 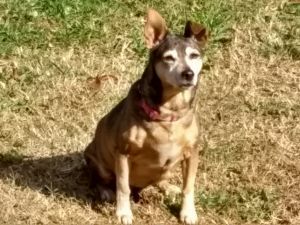 CoCoPuff came to us back in 2017 (with a companion who recently cross the rainbow bridge) after his owner passed on. 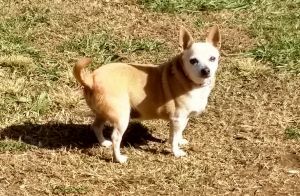 CoCoPuff would love a home that will give him love, a couch or chair or bed to sleep on, and keep him on his k/d science diet food. CoCoPuff is used to being watchful. He loves to hang in the yard and explore. CoCoPuff loves going for rides, especially to the groomer. He always feel so handsome when he comes back. CoCoPuff is updated on all vaccines. He is neutered. He gets along with other small and larger friendly dogs. Cats are okay. This is probably not a dog for kids less than 13 yrs old. If you are interested in CoCoPuff, please fill out an application at harmonyrr.com. 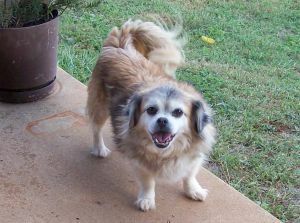 We would love to have an adopter who is familiar with small senior dogs. Katie Girl is one of the sweetest dogs. She came to us in 2010 with a litter and was HW pos. Seven years later, pups are long gone and is the HW; she has been negative every time after her initial treatment in 2010. Katie is one of the dogs that gets along with everyone! Whenever there is a new comer to the Harmony Rescue Pooch Inn, Katie is the first one we will have to greet the dog. She has a warm personality and makes you feel welcomed. 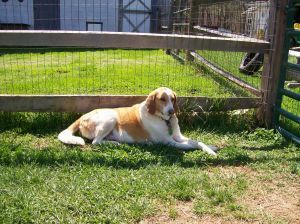 Katie enjoys walks and the outdoors though sleeping is great in her crate with a cushy bed. Although Katie loves to come inside, she does love being outside. Sometimes she likes to camp out overnight; thus a fenced in yard and outdoor dog house is a must. If you are interested in adopting or sponsoring Katie, please send us an email or message us through FaceBook. Katie is located at Harmony Rescue. Markey "Moose" first came to us after being found as a stray in another county, starved. Someone thought it was their dog Moose. When we called him "Moose" he came right to us. Although it ended up not being their long lost dog, the name stuck to this fellow. Moose has filled out nicely. He is almost done with his meds for Ehrlichia then can be neutered 30 days later. Moose is a sweetheart, loves the outside and his crate in the house. He gets along with all dogs and humans. IF you are interested in Moose, please fill out an application at harmonyrr.com. Adoption fee is $75 and includes the neuter, Rabies, shots, deworming, 1 month Frontline, 1 month Heartgard, and 1 small bag of dry food. Micha was found wandering on Rt 29, starved, and pretty beat up. We cleaned him up and gave him the meds he needed to get well. He is a very loving and goofy dog. He will definitely make you laugh. 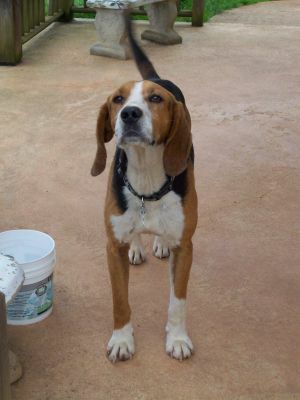 As many hound dogs are, he is always looking for food, so make sure you put everything away. 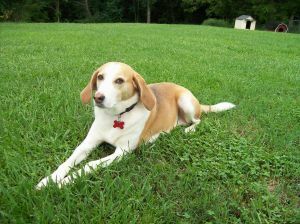 Micha has good manners inside, crate trained, and loves to run free (fenced in yard only). If you are interested in Micha, please fill out an application at www.harmonyrr.com. Adoption fee is $75.